I have a friend who wanted me to paint her three baby chicks. 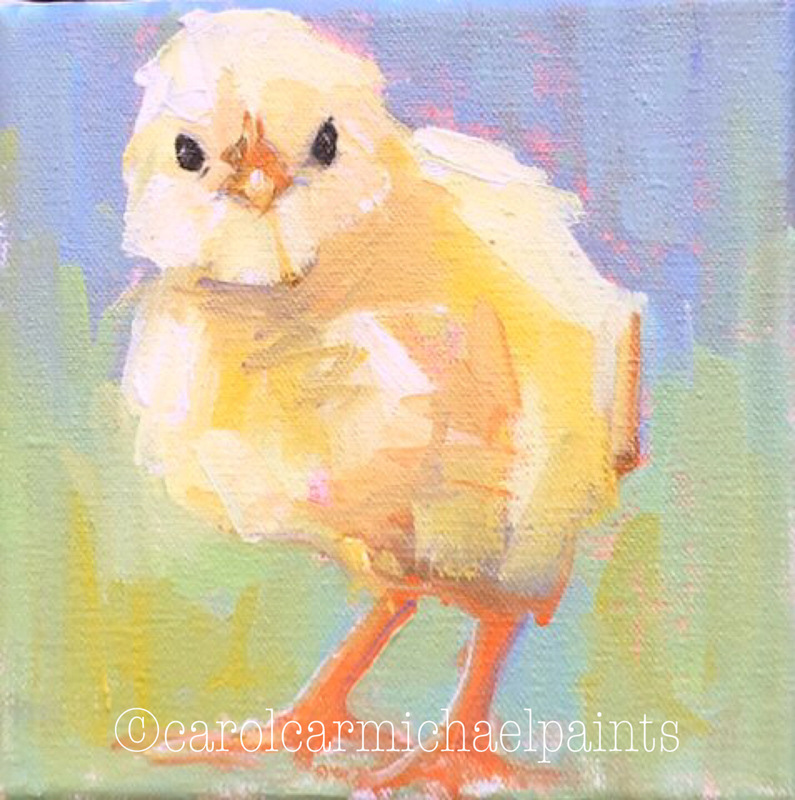 Painting chicks and listening to James Taylor is a good way to celebrate a Monday. Painted on a 6 x 6 " canvas.